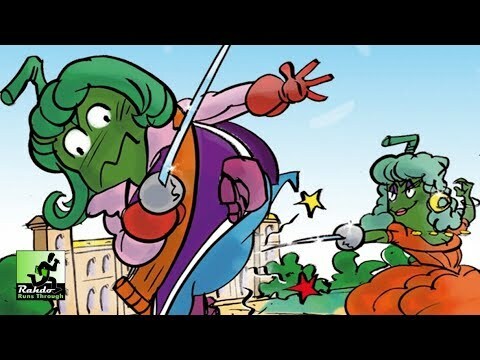 Bohnanza: Das Duell társasjáték - Magyarország társasjáték keresője! A társasjáték érték! A Bohnanza: Das Duell egy remek társasjáték, 2 játékos részére, az átlagos játékidő rövidebb, csak 45 perc. A társast, 12 éves kortól ajánljuk kipróbálni. A játékmenet erősen épít a kollekció gyűjtés, a kereskedés és a pakli tervezés mechanizmusokra. Bohnanza® – Das Duell: Give as good as you get! What was that thing about the gift horse? In this two-player variant of Bohnanza, both bean farmers give each other gifts of beans they can‘t use themselves – to make life harder for their opponent, if possible. Trying to fulfill their secret “bo(h)nus” requirements, they both need to keep a vigilant eye on the other player’s bean fields. Give as good as you get in Bohnanza – Das Duell, there can be only one winner! Both duelists have bean field mats in front of themselves to plant their beans on. Between them, there is a row of eight gift cards. Each player holds five hand cards and three “bo(h)nus cards” with secret objectives. Playing the bean duel, you have the option of planting more than one type of bean in the same field, but when you plant a different bean than the one you’ve planted before, it has to have the next highest number than the one before. When harvesting your beans, it’s the beanometer of the last card you’ve planted that counts. At the start of each turn, the active player plants two beans from their hand and turns over bean cards as usual. Instead of trading, however, they offer their opponent one bean as a gift by pushing this bean type’s gift card in their direction. The other player can accept the gift or decline it, but if they don’t take it, they have to offer a gift in return. You are allowed to bluff, but it may cost you if your bluff is called! Important: Only the first player to accept a gift actually receives the bean card in question. After this exchange, plant all beans you have received and turned over, then draw new cards. “Bo(h)nus” cards can be fulfilled at any time when the required combination of beans printed on the card can be found in any bean field. Fulfilling an objective earns you bean dollars and the brand new bean cents. When the draw pile is used up, the player with the most bean dollars wins the game. 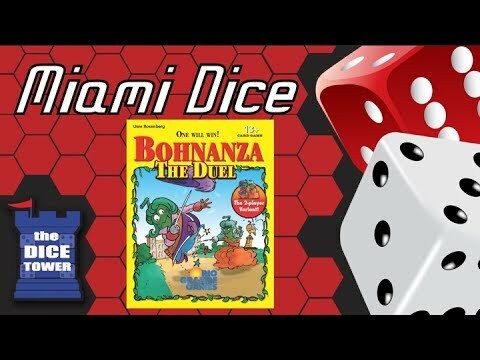 Bohnanza – Das Duell is a variant of the popular bean trading game Bohnanza designed exclusively for two players. The gifting rules and “bo(h)nus” cards facilitate interaction between the two players and give fans something new to try out. Die Jokerbohnen is an expansion for Bohnanza. It contains six cards with the "Jokerbohnen". The "Jokerbohnen" can be placed on every other bean card.